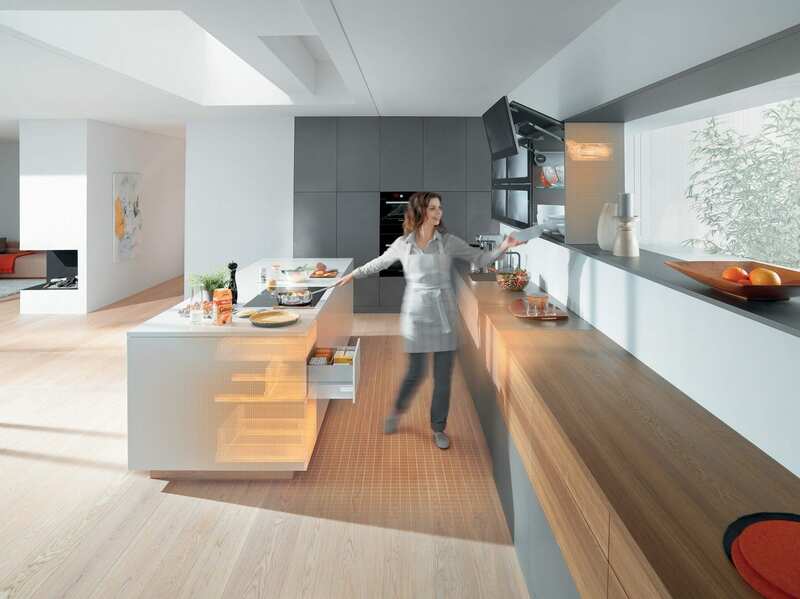 Hig quality kitchen furniture BLUM SERVO-DRIVE system. Blum servo-drive system is one of most technically advanced systems in kitchen furniture components industry. To meet requirements of our customers who are interested in high-tech solutions we also have it in our offer of kitchen furniture solutions. Servo-drive is solution designed to support modern handleless kitchens and can be used with drawers, bin and basket cabinets, lift systems and integrated appliances. To see servo drive in the real kitchen please check the video. Newer PostKitchen furniture space tower.